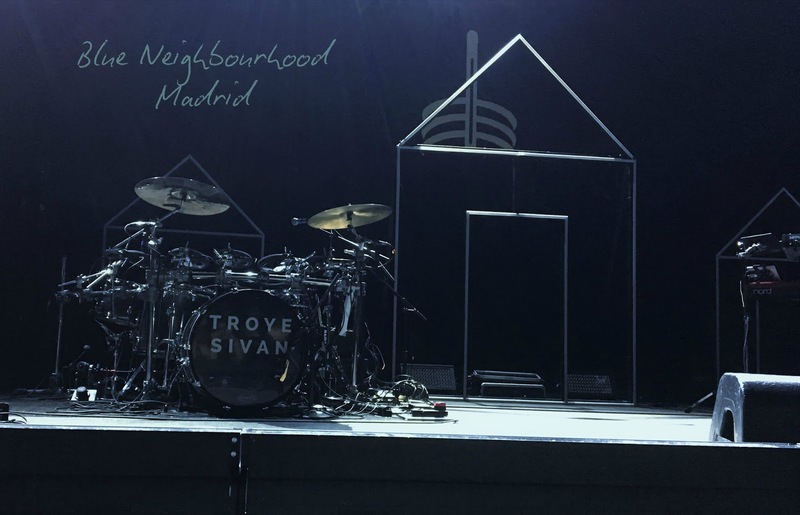 So Friday 29th of April I saw Troye Sivan in Madrid and it was one of the best days of my life. I'm not even kidding. It was also his first time performing in Spain so you can imagine how especial it was. That morning my friend and I woke up early, got ready and head out the closest Starbucks to the venue. 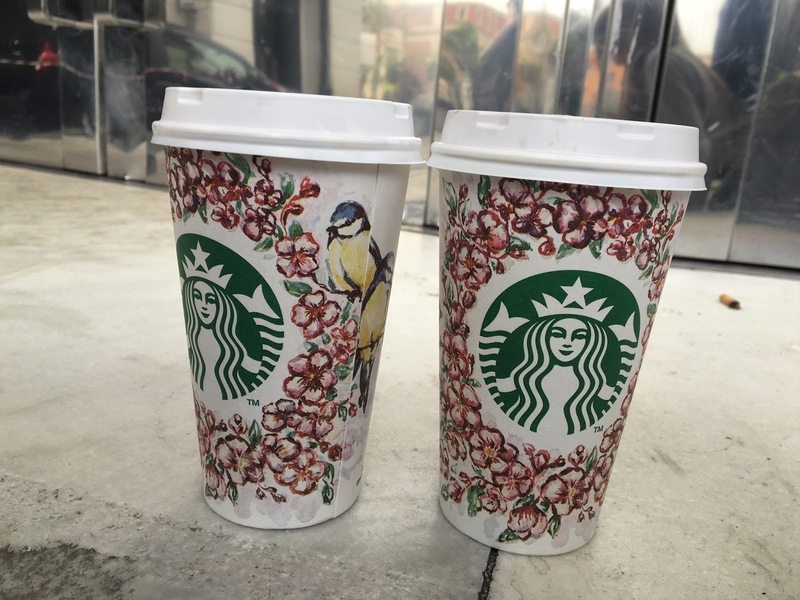 To my surprise we got cups with a really cute design, I wish I could've taken mine home. Since we had VIP tickets we went to the VIP queue where we met some lovely people. Throughout the day we met other people and everyone was amazing. I wish they all lived closer because honestly, I miss them. They all made queuing so much fun. 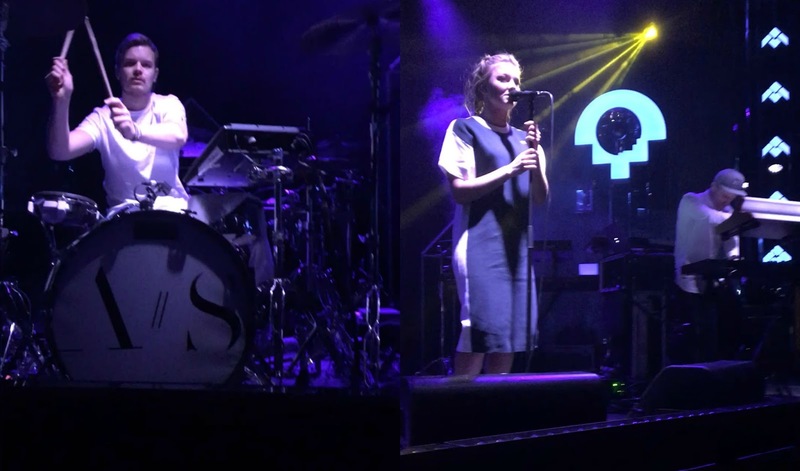 So many things happened whilst we queued: we saw Astrid S (the support act) when she arrived. Hours later we met Troye's parents and saw his older brother. They were so kind to us it warmed my heart. Now, I only got a picture and talked with Laurelle (Troye's mum) and she was so so nice, making sure she talked with everyone. They even gave tickets to people that didn't have one! A few hours later, when we were inside the venue, we left our bags on the front row and then went to buy some merch. I swear I spent more money on clothes rather than food in my whole trip to Madrid, oops! 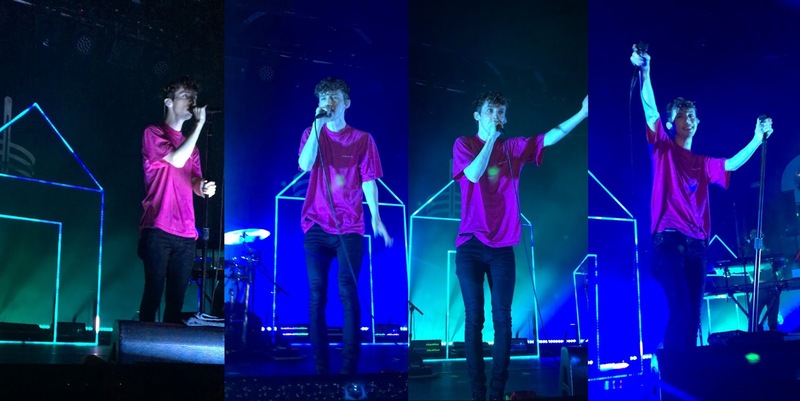 No regrets though, Troye's merch is beautiful! Plus, since we had VIP, we got a goodie-bag. And so that was it. We were front row and about to see Astrid and Troye perform. I didn't know any of Astrid's songs but she was SO good and I loved her songs so much and now I'm obsessed. And then it was time for Troye. The lights were off and you could only hear the intro of his song BITE. Troye would be on stage any second and I was extremely nervous. Basically I couldn't believe that it was real. Once he was on stage and started singing everthing felt right and I was so damn happy. 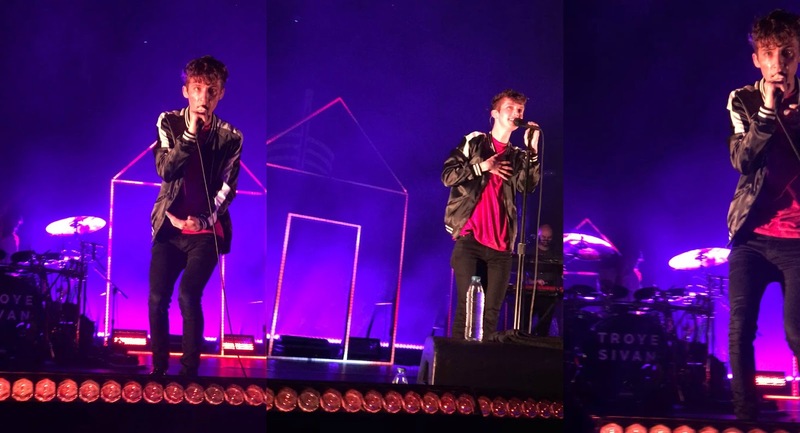 We were on the middle-left of the stage and Troye was there all the time. He made so much eye contact with us. And I know everyone says this but he really looked at us in the eye. You could tell he was so happy on stage, he wouldn't stop smiling and saying thank you. It made me so happy to see him that happy. There were so many especial moments during the concert and I'm gonna tell you about a few of those. One of them was during Happy Little Pill, which was his first ever single and since I've been following him for years I had this 'proud mum' feeling if you know what I mean. I just cried when he sang that song, it was so emotional. 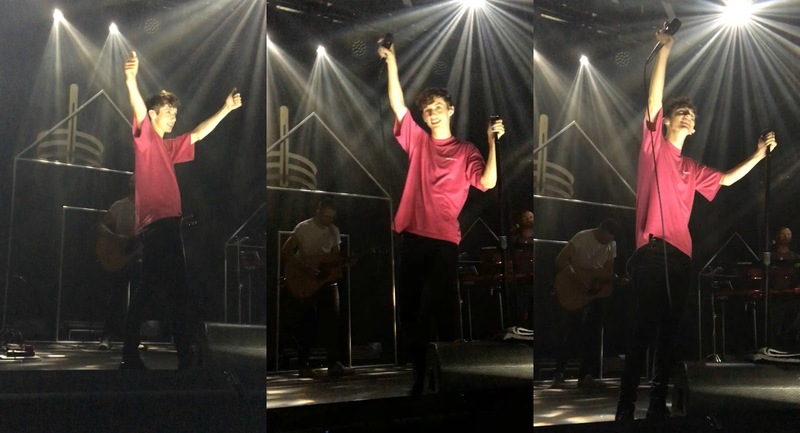 My friend screamed 'I'm so proud of you Troye' when he was in front of us and he smiled it was the cutest thing ever. When he sang Love is a losing game, an Amy Winehouse song, everyone was so quiet and you could only hear his voice, man, that was something. I love that he changes a verse in 'for him. ', it's the best part of the song, at least for me. He also said some words in Spanish because people shouted 'guapo' at him and he didn't understand what that meant so he asked a girl from the public and his reaction was so cute; I can't find the tweet with the video but he basically was like 'me? handsome? me, are you sure? aww guys!' He also said 'ay dios mío' which means OMG when he let us sing the words to one of his songs, also cute, video here. He even let a guy rap Monster (Nicki Minaj's song) with him on stage and face-timed another guy! I told you he made eye contact with us but he also crouched down and held hands with us. 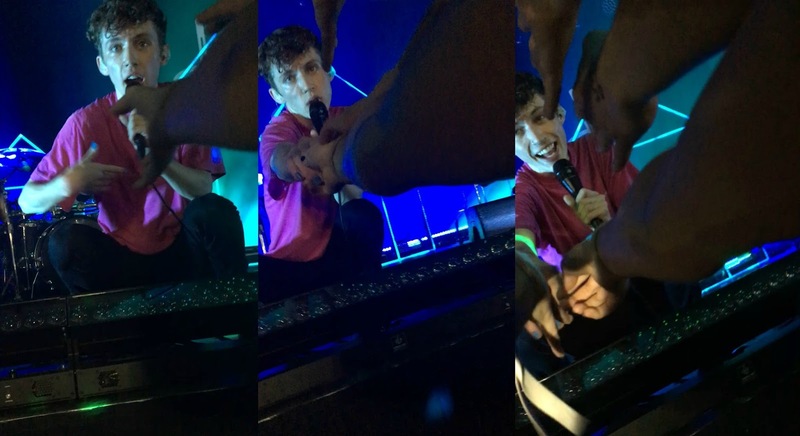 He held my hand and looked at me in the eye and smiled and I died. This happened a few times but during Talk Me Down I got it on video. In this song he says 'I wanna hold hands with you' and that's when he was in front of us so, obviously, he hold hands with us, here's the video. Just remembering this is making me SO happy, and emotional. I loved every song. I won't go into any more detail or else this would be so long but everything was so captivating, his live is INCREDIBLE. Seriously, go see him if he's ever near you, you really won't regret it. The energy is amazing. You can really tell that music is his passion and he gives everything in every song and as I said, he looks so happy that it makes you even happier. I'm so grateful that I got to see him live. I'm gonna include the setlist below so you can listen to it. I've included BLUE in the playlist even if he didn't sing it because that song is one of my favourites and I just didn't want you to not listen to it. As you can probably tell, I had such a good day and I miss it so much, everything about it. Now I just hope that I can meet Troye one day and tell him how proud I am of him and I also need to hug him. I hope you enjoyed this post even if it was me rambling and I don't know if it made much sense because it's hard to express feelings. Do you like Troye Sivan? 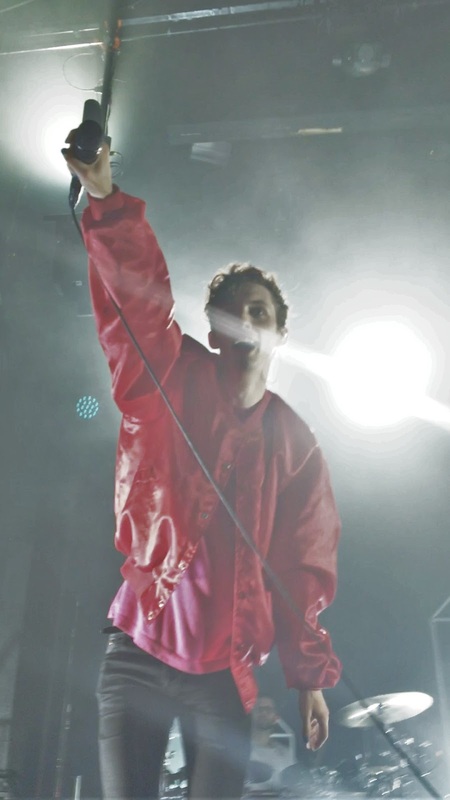 Have you seen him live? I loved this post, I knew you had fun but this just makes me feel like I was there! I think I would like to see him because I haven't before. Especially since it sounds like he's going up and up! Aw thanks! I have just seen he's going on a USA tour again in October-November so maybe you can go! !